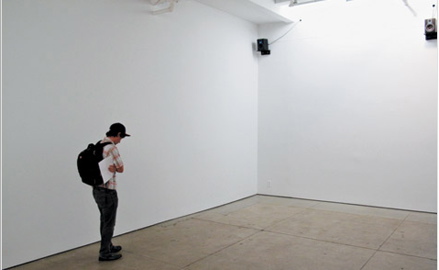 Installation view of “The Audio Show,” on at Friedrich Petzel Gallery in New York. Via Time Out New York. 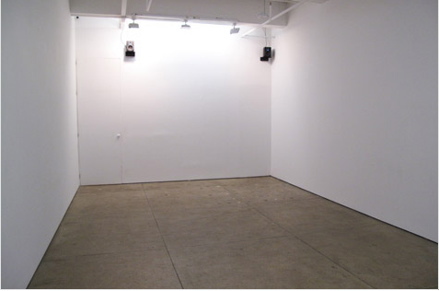 New York’s Friedrich Petzel Gallery is hosting “The Audio Show” for two more days. The gallery’s rooms are empty save a speaker mounted in each corner. 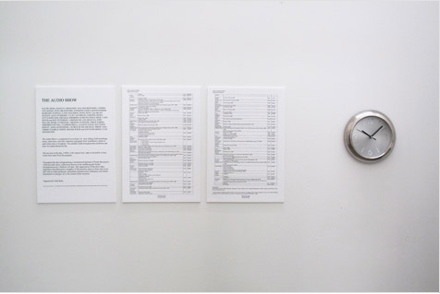 These play seven hours of audio, comprised of submissions from Marilyn Minter, John Miller, Jesse Bransford, and more, interspersed with a single reconstructed episode of Walter Benjamin’s 1930s radio play, “Aufklärng für Kinder (Enlightenment for Children).” The schedule of audio is the same every day, but for the last hour of the afternoon, in which patron’s requested clips from the exhibition are replayed. “The Audio Show” at Friedrich Petzel Gallery. Via Time Out New York. 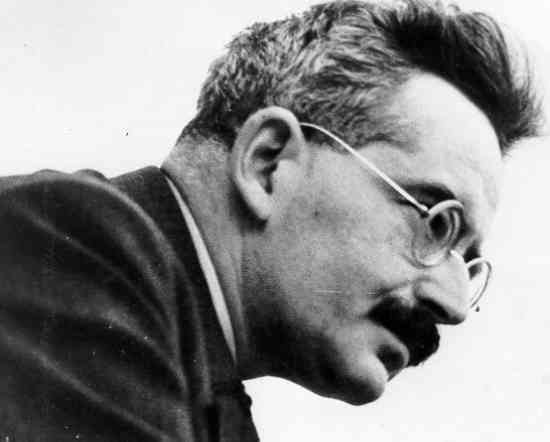 Walter Benjamin, via Kanon Media. “The Audio Show” at Friedrich Petzel. Via Time Out New York. 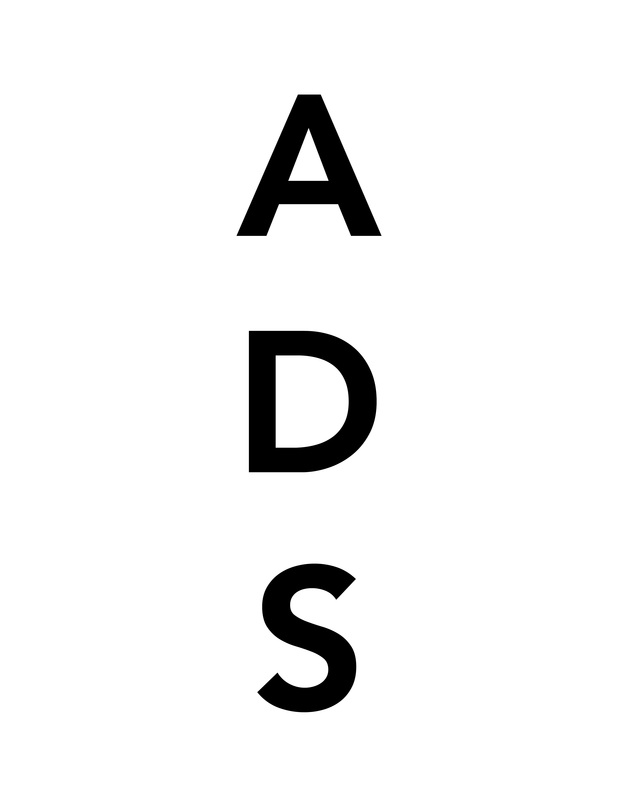 Comprised of seven hours of music, interviews, field recordings and storytelling, including audio segments of multimedia installation art, “The Audio Show” includes works by more than thirty artists. Featured are Adam Putnam; Alex Hubbard; Aura Rosenberg; Barnaby Furnas; Chantal Benjamin; Charlie White; Corinne Jones; Cosima von Bonin; Dan Torop; Dana Hoey with Arlen Austen; Friedrich Petzel; George Rush; Ilana Halperin; Ivan Witenstein; Jennifer Cohen; Jesse Bransford; John Miller; Jorge Pardo; Juliet Jacobson; Jutta Koether; Karsten Krejcarek; Keith Edmier; Lary Seven with Jeff Peterson; Lorenzo de Los Angeles; Marilyn Minter; Matthew Ronay; Michael Krebber; Michael Smith; Roger White with David Kearnes; Stephen Prina; Sue de Beer; Virginia Overton; and of course, Walter Benjamin. This entry was posted on Friday, August 21st, 2009 at 2:07 pm	and is filed under Go See. You can follow any responses to this entry through the RSS 2.0 feed. You can leave a response, or trackback from your own site.